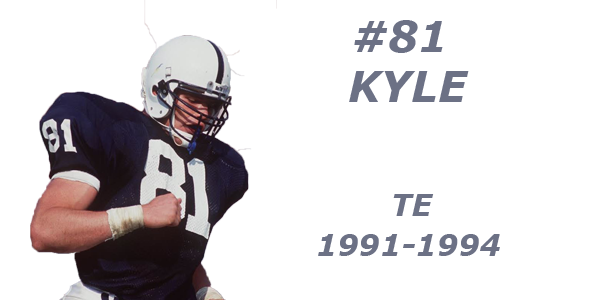 Did you happen to catch #1 Penn State treating the Ohio State Buckeyes like they were Old Yeller? If you somehow missed it, here is a YouTube of the whole spiel. It’s 90 minutes long, but Cael (and Roman Bravo Young) ruined any suspense by ending Yeller in just 11:40. Thursday – which is Valentine’s Day, by the way, gentlemen – our magnanimous overlords at the NCAA will release updated Coaches Rankings and the initial RPI rankings. Be on the lookout for them. Until then, enjoy the following tables of soon-to-be-outdated information. SeaBass Rivera got bored with everyone ducking him at 125 lbs, so he bumped up to 133 this weekend to tangle with Stevan Micic, whom he knew wouldn’t run. We applaud this effort from SeaBass, though it did not go well. Micic rolled, 10-4. But SeaBass keeps the top seed in our 125 table because he’s got guts, and guts is enough. Sean Russell decked Zeke Moisey to keep a firm grip on the 4-spot. It was a good thing Russell pinned Zeke, because Zeke was whoopin’ Russell prior to the fall. There’s a pretty close bunching here, from 3 (RayVon, who got housed by SeaBass this weekend) thru 8 (injured Connor Brown , who hasn’t wrestled since we can’t remember when). The quarterfinals onward at B1Gs should be a real hoot. Not for nothing, but 10 of the 14 wrestlers here at 133 had an officially licensed Coaches Rank on January 24th. It’s an awfully deep weight. Cael tossed true frosh Roman Bravo Young into this pool of sharks, and RBY showed big, pointy teeth and a dorsal fin. Known for unmatched quickness and lateral movement, RBY out-Pletcher’d Luke Pletcher, king of the tiebreaker rideouts. In the nearly 2 seasons prior to this dual with RBY, Luke was an amazing (18-1) in 1-point decisions and overtime. He’s made a grand ol living at the boring, one-move match. And the high flying, point scoring, neutral taking true freshman RBY just beat him at his own game. Incredible. South Fayette’s Mikey Carr (via Illinois) got past Tristan Moran this weekend, 2-1, on a penalty point. He and Nick Lee wrestle Sunday for what ought to be the #1 seed at B1Gs. The top 3 here at 149 are pretty well set. And though we haven’t seen him in over 3 weeks, we slot our guy Charlie Berge 5th, just behind Wisconsin’s Cole Martin. Get well soon, Charlie. Eleven ranked wrestlers according to the January 24th Coaches poll. Penn State has Jason Nolf, so there’s no reason to look at or discuss the standings. Does Cenzo ever get angry or tired or sad? Your challenge, should you choose to accept it, BSDers, is to find an image where Cenzo is not wearing a goofy grin from ear to ear. If he wasn’t a 2-time Keystone Classic champion, you’d never believe he takes wrestling seriously. Eleven ranked wrestlers according to the January 24th Coaches poll. 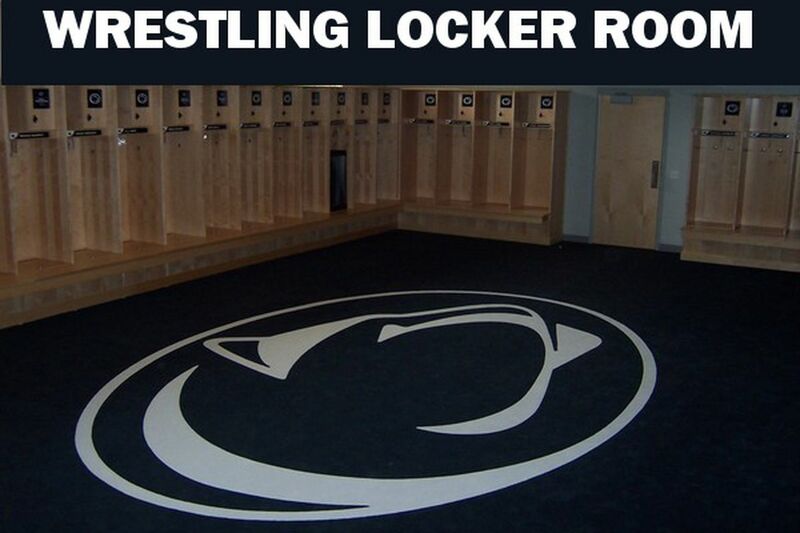 Penn State has Mark Hall , so there’s no reason to look at or discuss the standings. This weight class is a complete and total disaster. But here’s the big takeaway for Dear Old State – if Shak can get healthy, he has an awesome opportunity to sew up either the 2 or 3 seed at B1Gs, because both Cam Caffey (Friday) and Emery Parker (Sunday) are coming to Happy Valley this weekend. Win both, and he’s the 3-seed at worst. Only seven ranked wrestlers here according to the Jan 24th Coaches Poll. But it sure is fun watching Bo Nickal destroy all of them. Someone might wonder, “hey, why do you continue to list Maryland’s David Brian Whisler when he hasn’t wrestled a conference match all season?” Well for two reasons. 1) his name is David Brian Whisler, which sounds like a serial killer. 2) By all objective measures, Maryland doesn’t care about wrestling – so we’re not going to hunt down the College Park Strangler’s injury replacement. When they care, we’ll care. Just one week after we dropped Sam Stoll for looking horrible against David Jensen, we’re bumping Sam right back up. Not because Sam looks health now – he doesn’t, squeaking out a lethargic 1-0 win over Hemida. No, it’s because Jensen got housed by Steveson, and Mason Parris inexplicably lost – for a second time! – to Conan “Sasquatch” Jennings. The Buckeyes fall precipitously, while Iowa posts its best total of the season.